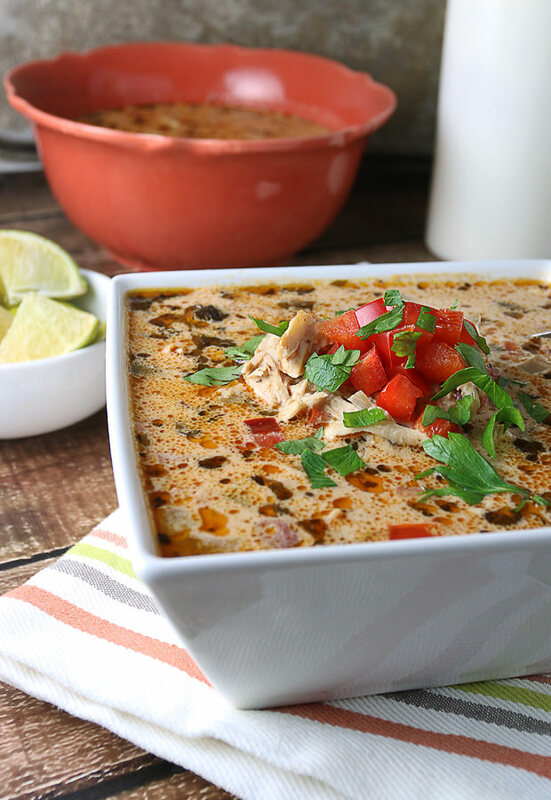 A hearty and delicious soup that’s fit for anyone that likes a bit of spice, creaminess, and chunks of fantastic ingredients spread throughout each and every bite. 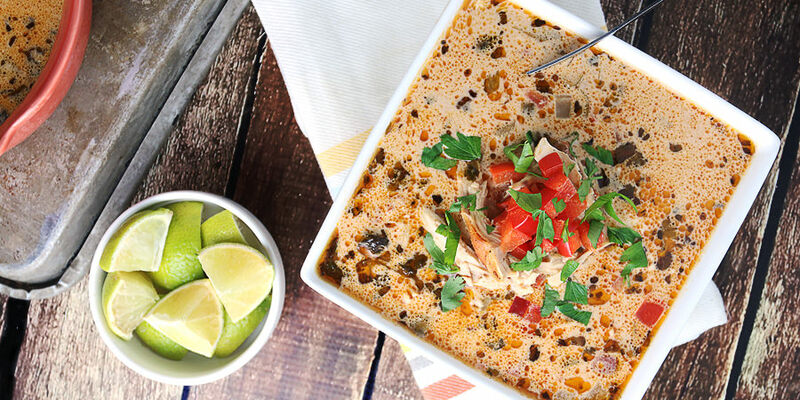 A soup that captures all of the flavors of an enchilada, without the tortilla and added carbs – perfect for anyone on a ketogenic diet! It’s preferred that you make your own chicken stock from leftover bones you have, but if you’re in a pinch of time, you can go with College Inn broth or more expensive (organic) broth over at Whole Foods/Trade Joe’s. The lime at the end will add just the perfect amount of acidity to compliment the sweetness that the tomatoes bring. It’s always best to use as many fresh ingredients as possible, as there’s not too many ingredients and they all bring their own unique flavors to the party. For the meat, I prefer using a mixture of both breast and leg meat, but that part is totally up to you. 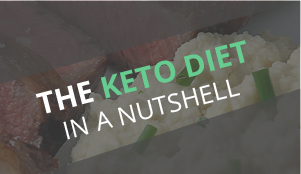 Just remember that the more breast meat you use, the less fatty the final macros will be. If you want to make this as an entree, feel free to add more chicken to bulk it up. Top it off with some shredded cheddar cheese or some sour cream. 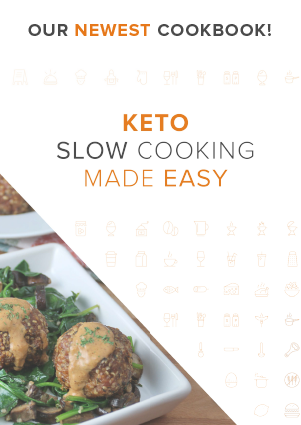 That will increase both the fat content and the protein content, along with making it more hearty and suitable for a dinner course! 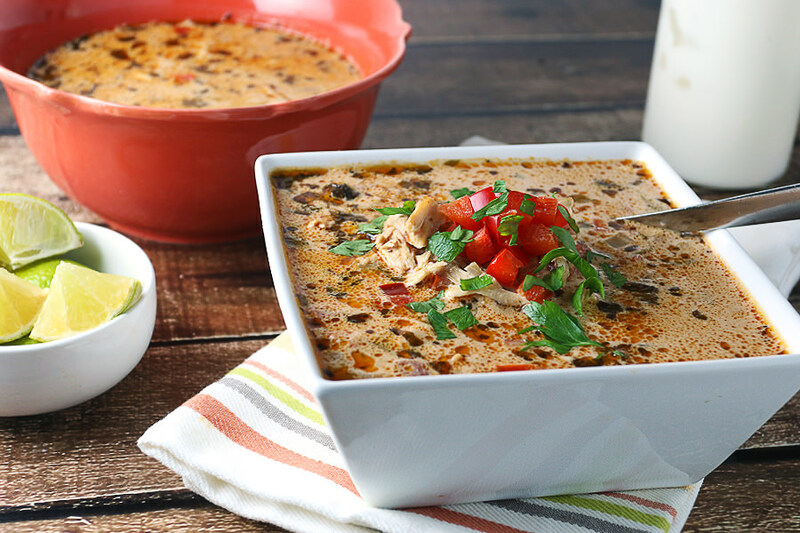 So, what’s your favorite soup to make that’s packed full of flavor? Let us know in the comments below! 1. Dice 3 stalks of celery (cut the tips off of each end) and 1 medium red bell pepper. 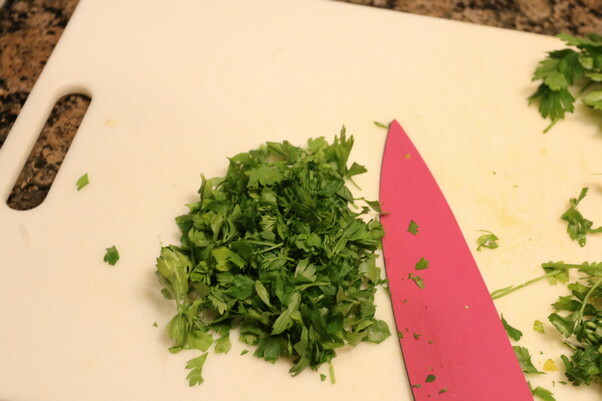 Mince the 2 teaspoons of garlic (about 2 cloves) and get your cilantro out. 2. 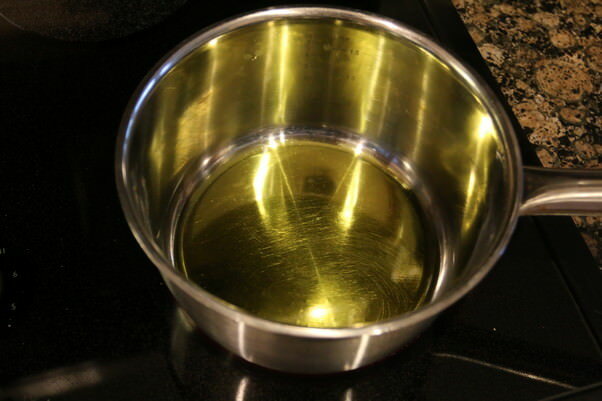 In a pot, heat 3 tablespoons olive oil over medium high heat. 3. 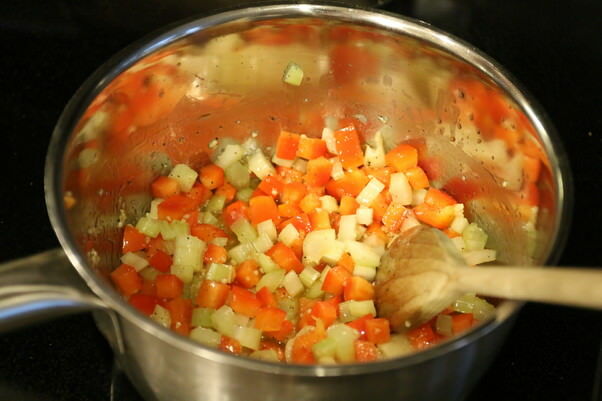 Once the oil is hot, add celery, bell pepper, and garlic. Let this cook until the celery softens. Add salt and pepper to taste. 4. 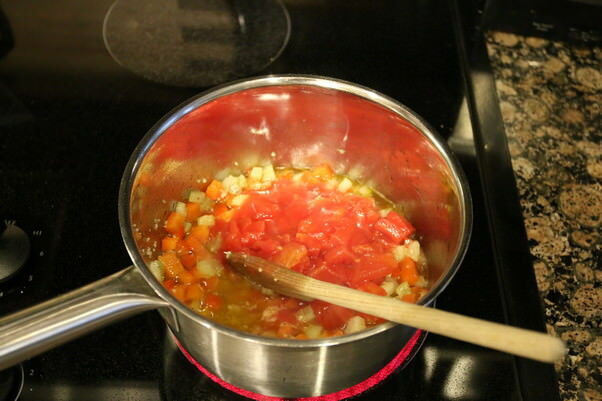 Once celery is cooked, add 1 cup diced tomatoes and stir well. Let this cook for about 2-3 minutes. 5. Add spices and additional salt and pepper if needed. Stir this up and leave for a 1-2 minutes. 6. 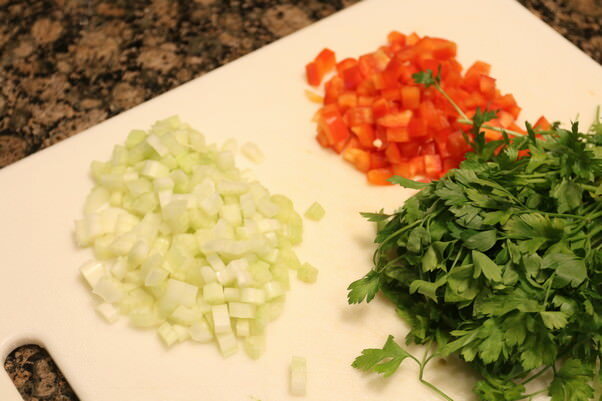 In the mean time, chop up the cilantro (make sure you cut the stems off). 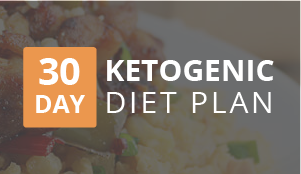 You’ll need about 1/2 cup in total. 7. Add 4 cups chicken broth and cilantro to the pan. Stir everything together. 8. Bring the soup up to a boil and then reduce heat to low. Let this simmer for 20 minutes. 9. 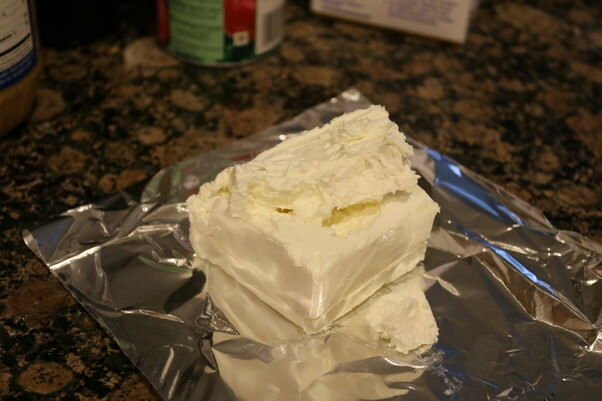 Measure out the cream cheese and add it to the pan. Stir in well and bring to a boil again. Once boiling, turn to low and simmer for 20-25 minutes. 10. Shred the chicken with a fork. 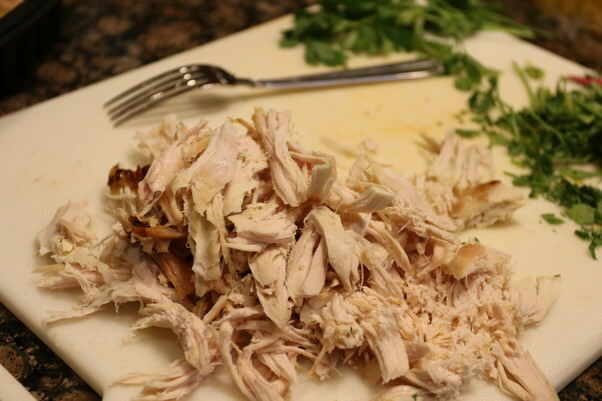 You can either cook this fresh as you’re making the soup or you can use leftover rotisserie chicken like I did. 11. 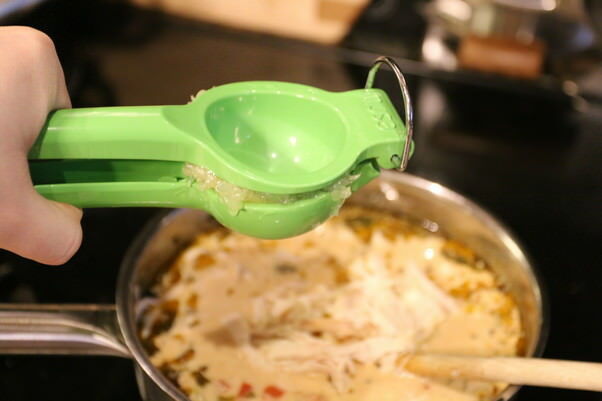 Once simmered, add chicken to the pan and squeeze the lime juice over the top. Stir together until everything is mixed. 12. Serve up with extra limes and sour cream! 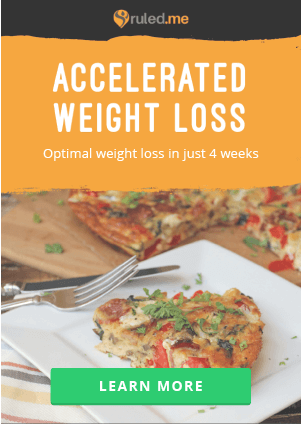 You can additionally garnish with shredded cheese, extra bell pepper, or fresh cilantro. 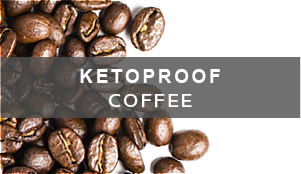 This makes 4 (1.5-cup) servings. 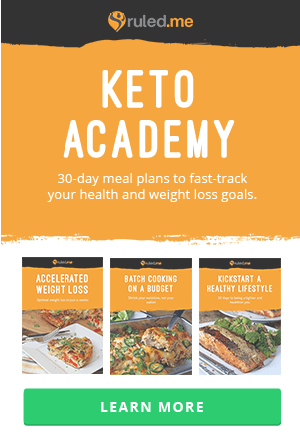 Each serving comes out to 365.5 Calories, 33.64g Fats, 8.58g Net Carbs, and 16.8g Protein. Heat oil in a pan and add celery, garlic, and the bell peppers. Once celery is soft, add tomatoes and let cook for 2-3 minutes. Add spices to pan and mix together well. 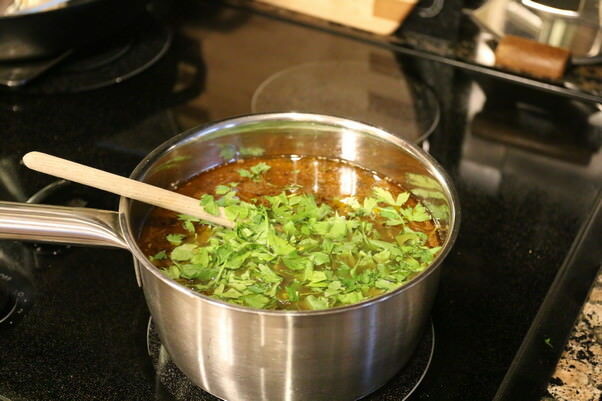 Pour in the chicken broth and cilantro, bring to a boil, and then reduce to low to simmer for 20 minutes. 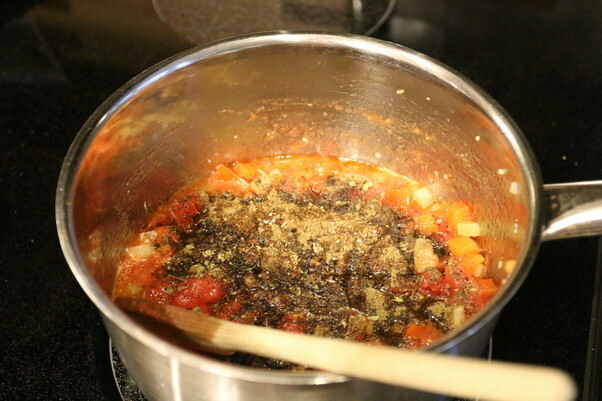 Once simmering is done, add cream cheese and bring to a boil again. 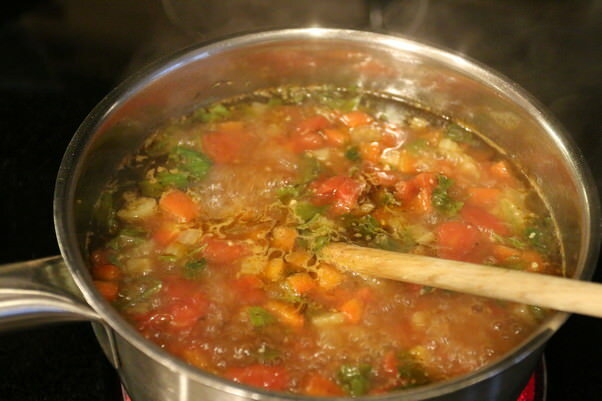 Once boiling, reduce heat to low and simmer for 25 minutes. Shred the chicken and add to the pot, then juice 1/2 lime over the top. Stir everything together. 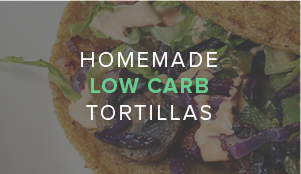 Serve with an additional sprinkling of cilantro, shredded cheese, or sour cream!